If you show the Shape Data window via View > Shape Data Window (or View > Custom Properties Window in Visio 2003 or earlier), you’ll see that each element shape contains a number of data fields containing additional information. Now Mr. Edson, like all good developers, is clever…and lazy. While developing these Visio SmartShapes. he realized that the shapes could be colored differently according to their Series. 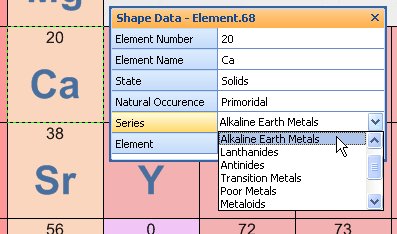 So instead of manually selecting each element and changing its fill color, he linked the fill color to the value of the Series Shape Data field. 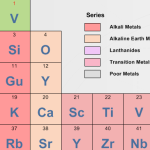 Likewise, the color of the atomic number responds to the element’s natrual state: Gases have red text, liquids have green text, and solids have black text. For those interested in developing Visio SmartShapes and Master Shape Stencil libraries, I urge you to poke around in the ShapeSheet of these shapes. There you’ll see how text data in Shape Data cells are converted to numbers in User Cells. 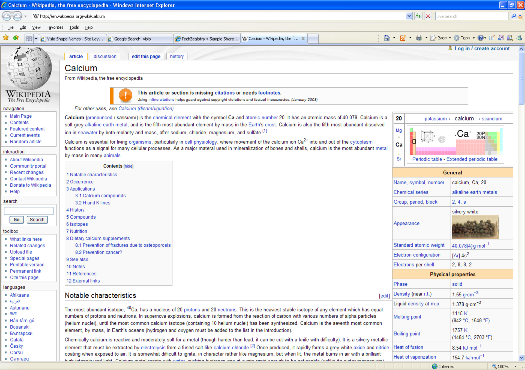 The User-cell values are then analyzed in formatting cells to change the look of each element shape. If the Shape Data isn’t enough for you, you can right-click each element shape and jump to the Wikipedia article for that element. 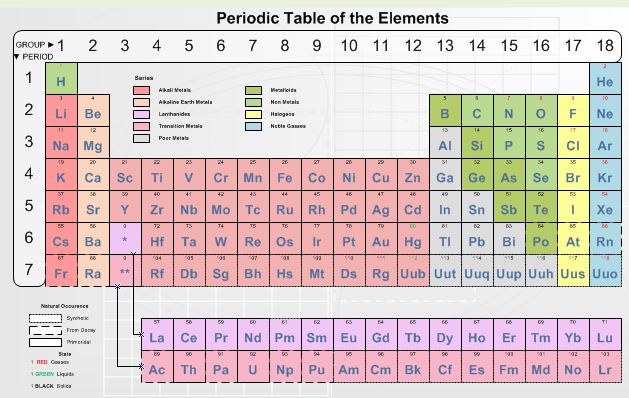 We hope you, or the students near and dear to you find the Visio Periodic Table useful, informative and fun! No – just a science geek at heart.